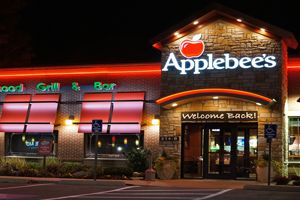 Applebee’s is a long-running American chain that most locals have heard of. They have stayed around for a very long time while still remaining somewhat popular. We’ll go over why that is and why it relates to how you manage your own home or business. There are many lessons to be found in older businesses that you may not notice at first. Today we’ll obviously be discussing this one for you. Even those just planning for their own home bar might want to take note of it. Applebee’s is known for comfort food and a comfortable style of furniture. Both of these come together with an average, working-man sort of atmosphere. People are meant to feel comfortable in such a setting and they definitely do. So how do these places stay open so long without everything getting stale? Remodeling is the biggest way in which they do this. The most common method to do this is by changing things to match whatever the modern style is. As you well know this changes with the passing of every year so most businesses do this every 5 to 10 years. Since this can get so expensive they cannot really afford to do it every single year. Remodeling locations in this way actually takes millions of dollars. However it is worth spending the money because it keeps people coming back for a fresh experience. This is as true today as it was hundreds of years ago when the extremely wealthy would change things for major festivals and other big events as well. Individual locations take a few hundred thousand dollars but they need to do this with a huge number of them over time. All bars should remodel here and there. Everything changes over the years from their outdoor patio furniture to other basic items. Technology is one area in which everything updates. With additional lighting and new televisions it makes sense that all of this would be updated over the years. As far as technology it gets updated much more often than many of the other items which are a part of any setting like this. Changes in the color of the setting are significant as well. In one area in Glendale they will be putting up yellow and green panels. This is a big departure from the red colors which dominated so many areas of Applebee’s in the past. Some parts of the restaurant are changing entirely. For example touchscreen tables are going to be a part of every single table in the future. This means that instead of having the various servers roaming about people will simply be ordering at the table. This hi-tech method has been used with great results in many previous installations. One day this will likely be the industry standard. Getting rid of old items is also a big part of any restructuring. Their previous decorations are going to be auctioned off to aid the Make-a-Wish foundation. In this way it helps them improve their public image as well. So there are many benefits to using this in your own business. One restaurant/bar has critics doing more than talking. It has them disagreeing with each other and with the regular fans of the place as well. So what is going on with all of this talk? We’ll discuss how it all goes on as well. Sometimes an area can be so famous and well-liked that people keep coming back no matter what happens. So what sets all of this apart? Several things that you many designers and business owners simply do not understand at first. What is so confusing about the restaurant is that people both love and hate it. Many critics have written poor reviews about it but they do nothing. Hometown fans keep flocking to the area for the atmosphere and food no matter what anyone says. When you create a certain sort of reputation nothing can stop you. Terrible food, rude staff and horrible diners at nearby tables have driven many tourists and also critics off. By many reviews from both the media and the general public this place is absolutely terrible. Basically they are known for doing everything wrong with their business. Their reputation precedes them whenever anyone has heard about the area and wants to experience a new sort of dining establishment. In many cases servers have been reported to not pay much attention to outdoor dining tables and other places where guests are seated. You could be waiting for quite some time for your food and only have basic furniture to look at. Nothing is particularly noteworthy about that either. It’s the standard type of pieces which you would probably expect from any bar. Right now you are probably asking why all of this is allowed at the establishment. The reason is simple, it is their gimmick. 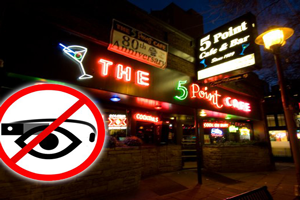 The long-time fans who come there regularly to enjoy some food and a drink do not do it for the normal atmosphere. They do it because they can curse as much as they want while listening to music that is way too loud and eating food which is much too greasy. Not everyone’s cup of tea is to have a relaxing meal with a warm drink. Some people just like to cause trouble and perhaps hang out with some other people who want to cause trouble as well. A lack of fancy decorations also helps this. So what is the lesson here, be really rude and you will be rewarded? Not particularly, although you could take it as such. Their very slogan is “we cheat tourists-n-drunks since 1929”. We are serious, it’s on their online menu. They mean it as well since image is everything with them. When you come in you should be ready for drunks, strippers and uncouth service people who are willing to swear at you if you treat them badly. All of this creates a culture which keeps people coming back because they feel like they are a part of something. Creating your own setting is important from the décor to how people treat it each. Choose one that makes people happy and you cannot go wrong. Cleveland was once known for the many bars in their districts. An area of the country which is famous for culture, art and parties Cleveland has a special place in the hearts of many. Former dwellers often come back to relive the memories that made their life there so exciting and they want to hang out at many bars in the area. However over the years many areas became dilapidated and run down which led to major downturns in tourism and local enjoyment as well. Cleveland has many scenic locations that always draw people in such as the Rock and Roll Hall of Fame. However we aren’t talking about those today. Today we’re talking about the many smaller joints that give the place unique charm. That have their own style and way of creating memories for everyone who enjoys a drink there, all year round. So this is our salute to those and a lesson on how to create that style in your own home or business as well. The Happy Dog at the Euclid Tavern (yet another example of businesses working together) is one of these. 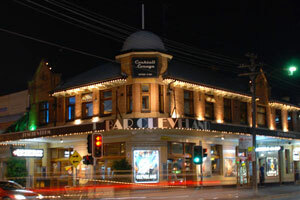 With a massive food and drink selection it also has a music scene. Pretty much every single element you would need for a popular local establishment, all in one simple package. As such they have a special setting which makes everyone there feel like they have truly come home. But what about the area in general? Many pieces of contemporary outdoor furniture have been repaired or improved to look even better as well. Improvement is what this is all about after all. Workers are pushing for quality establishments harder than before and the work is clearly paying off for those involved. People are eating there more often as well which is great for business. Another example of this change is the Bourbon Street Barrel Room. They have been there for almost two decades but didn’t always have the same lively style. Now they have incredible acts along with new offerings such as ice cream shops and galleries. It’s a mini-mall of a sort but is also a part of the revitalization as well. So even those not running a bar or restaurant can benefit from the revitalization. As always you can expect local media to take note of individual bars and other places of interest when something like this happens. So that’s another reason to do it. While we certainly have repeated this point quite a bit it is no less important for anyone who has a reason to get noticed for their design work or even for their own simple home. If you live in an area that has seen better days then the first step you can take is to improve your own business. Many others will follow suit and you can even get the local government involved in funding all this. The story in Cleveland is far from unique but it is no less inspiring for that. So when you need some ideas look to this famous city which turned many things around. 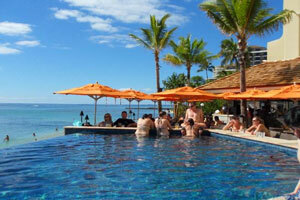 The Edge of Waikiki is an incredible hotspot in Hawaii that attracts people throughout the world. Their style is second to none in this area so there is much to be learned about drawing attention to your own business through this as well. From the drinks to the infinite pool nearby every aspect of this location is set up for everyone to enjoy the general atmosphere. If you can bring this same level of care to your own area then you could have the same level of publicity. They have a special name for their cocktails which are known as “Vint-Edge”ones. These particular ones mix some local style with more modern liquors of today. This mix of classics with new additions insures that everything stays fresh for those in the area as well. So what else lends to the atmosphere? Having both a beach and pool in (and around) the establishment creates atmosphere without the employees really having to do much. Other than keep it clean of course. No one wants to walk on a beach littered with trash or have a pool with other dirty items floating around. The edge of Wakiki has had many stories written about this establishment but Yelp reviews might paint a better picture. Low prices and a great atmosphere sell people on this area. Despite a few low reviews overall they’re seen as one of the most amazing places to hang out in Hawaii, which is an area filled with amazing places to hang out of all kinds. We’ll be sure to discuss some others as well. Of course this beautiful area is just part of a larger business, the Sheraton Waikiki. The overall hotel also offers many more offerings for patrons from accommodations to entertainment. As such the addition of this onto the larger business really improves the entire setting as a whole. On that node this is just one edge of the area and has the Edge infinity pool there, in a larger setting with additional clubs and even fitness areas. Outdoor Bar Stools are in the distinctly Hawaiian style as you might expect. But they go a bit further and don’t just have a Tiki lounge. Pieces are carefully cleaned and maintained with all the entertainment amenities you would expect. Even live Hawaiian bands are on stage there at times during the day and night. Having a crowd to cater to is very important as well so location matters when you are designing. If you do not have a well-traveled area how is anyone ever going to see your creations? In this area the location thrives as well. With over a thousand rooms there are always people who want to relax and enjoy a cool drink. So make sure that your location has enough people to visit as well. The same rule goes for even more famous locations. High-quality food is another draw for the area since many of their dishes have won awards for cuisine. 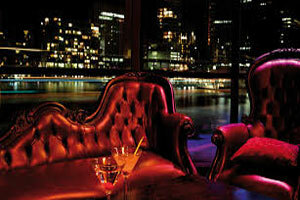 So people can expect the very best when staying there and trying out the other establishments as well. Alux Restaurant and Lounge has often made international headlines for the naturally beauty of the area paired with the modern dining appointments you would never expect to find in any sort of cave. They combine classic looks with ultra-modern serving and dishes for a truly amazing effect. In a way the entire setting is both indoors and outdoors at the same which lends it a charm that few can match and you need to learn from if at all possible. The Alux Caverna is literally located own a flight of stairs in a cave. While the above area is quite nice the inner sections are what people come for. 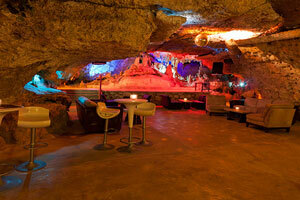 Carved out of a natural cave there are elegant dining spaces with artistic dishes and fine wines. All of these are lit by candlelight and other sources around the light. The area is perpetually a bit dim but not extremely dark, lending a special mood to any dining experience you might have there. 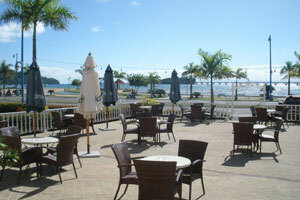 It has a calm atmosphere for diners which helps them relax. Private parties and family gatherings take there and offer international cuisine. The décor is of course always a topic of conversation since that is part of the spectacle. If there is any way you could take advantage of a nearby wooded area, cave or even lake we would advise you to look into it. It is amazing what architects can do these days while still maintaining the overall beauty of the area in a sustainable way. Patio Furniture in this area is not quite the same as in others, because the cave itself is the main focus. However that makes it even more interesting as technically the place functions much like an outdoor, natural area. While there are certainly many installations to keep people comfortable the natural geography of the area helps you explore nature there. They do have a patio-style area but it is not really the focus of course, as you might imagine. Instead lounging furniture, in the style that you would find on a patio in places, covers a large part of the establishment. Even if you cannot manage to create a truly amazing natural wonder yourself it is still fine. By simply using nearby trees and water features in your own design you can create similarly amazing effects as well. It’s up to you how much time and effort you would like to put into all of this but it is probably worth it for you in the long run, no matter what reason you are doing it for. If you want to check all of this out for yourself you can simply visit their site. Perhaps you will see something that the many reviewers for news sites have overlooked. Finding your own inspiration is important as usual, in this area as much as in any other. At the very least you should be able to understand what we mean when we are talking about how the décor is brought together by the furniture and atmosphere itself. Dominican Republic travelers and general decorators are all taking note of the expanded bar scene and high level of quality. In a country which was previously rather undeveloped incredible hotels and resorts have sprung up. Each one offers a level of quality which has people talking and also has become a major relaxation spot for celebrities wanting to stay out of the limelight, which makes it a tempting vacation area for a huge number of reasons. Perhaps what makes it more puzzling is why all of this did not happen sooner. Due to the fact that it is one of the largest countries in the Caribbean with a truly massive amount of natural beauty you would think it would be the best tourist location. Unfortunately instability at points in the country’s history and also a lack of development at other times insured that it never built up to quite the same level that other vacation spots did. One major change that made it much more popular was stability and safety. Many parts of the world have incredibly beautiful destinations but are also extremely dangerous. In the developed areas of the Dominican Republic things are quite safe. The perfect sort of atmosphere for any business owner, especially one wanting to start a bar or restaurant where people will pay for the views as much as your other products. Nature is one of those things you cannot manufacture or replace. Travel aficionados around the work, including in the United Kingdom, are taking note of the changes and writing lengthy news/review pieces on the area. Despite the low development rate that they had for many years everything has turned around. Now people from all over the world are talking about the major changes which have come to the area and the money which is coming with them. Every sort of additional luxury is there too, from Fire Pit Tables to exquisite lounges. In the warm climate of the area people can install many outdoor luxuries you might not expect, although you still need to watch out for the occasional extreme weather. In short it is a designer’s greatest dream for the sort of environment to decorate in. In a sense much of the work is done for you before you even get started. As for decoration there is a lesson to be learned here, as in all our other articles. You should go for top quality pieces but also let nature do its job. No matter what pieces you buy many of them cannot compare to sunrise or sunset with a good drink. The mild to warm environment helps too. Ideally nature can be your centerpiece with your other items simply providing the creature comforts that all of your clients or friends have come to expect. In this case you should take a stance of “If it is not broken, do not fix it”. Choosing a location with excellent weather and a great natural atmosphere is how some of the most famous businesses in the world have become successful so be sure to follow their example. Cruise ship bars have huge profits because everything is designed around making money there. There are many different lessons to learn from that as well. Due to this you should pay attention to their practices and learn everything you can from all of this. If you run a business then it can be a great way to greatly enhance your overall profits and really impress everyone who works with you or buys from you. We’ll be talking about all the principles for you to use as well. As you might expect one major point that makes people spend so much is atmosphere. People feel like they are supposed to be spending a lot of money due to the relaxing nature, bright lights and the many other environmental factors that come up. Attitude matters here just as much as anywhere else. Also people want to have a good time because they are almost always on vacation when going on a ship. The days of cruises to get across the world are over, people take planes for business trips. While you probably cannot put your home or business on a boat you can still learn from all of this. Creating the idea that people are on vacation when they step into your establishment is absolutely invaluable. It relaxes them and makes them more likely to spend more in order to have a great time. It isn’t wrong to do because people know what they are getting into when they go in. There are also lessons to be learned from the design choices themselves. Outdoor Furniture is also selected for stability. It is often attached to the decks so that people have no chance of sliding around in the case that there is an especially turbulent set of weather. You should bring the same setup to your own establishment as well by buying sturdy pieces which will hold up in a wide variety of different circumstances. Variety is another factor which you should keep in mind. There are always shows going on or other novelties. At times even the furniture itself is quite different from settings you would normally see at a bar. Therefore you should seek to mix up your performers and even seating to stand out from the ordinary. Drink specials change over time or they offer a massive menu with every sort of drink you could ever want on it as well. Quality has to be good because critics are always watching for a slip up. High prices are another normal part of this as well. Only you know how much your people are willing to pay for the experience. However you can normally raise prices one you are sure that you are delivering an experience which people will remember for a long time to come. Making memories is something that people will pay huge rates for. Think back on your own experiences when you need to draw inspiration in this area. They will help you figure out exactly what will impress everyone the most when creating your own unique bar setting and atmosphere as well. One untapped area that you could draw on is combining the novelty of a cruise with the beauty of nature, an idea whose time has come. Winter is coming, as you surely already know. For some reading this temperatures have already dropped and you may have even received some snow. Therefore we want to talk about how to turn all of this to your advantage, as we have done in recent articles as well. It can be a time of wonder and majesty for those who frequent your business or visit your home. Some of the best memories of their lives can be made there if you manage to create the right setting for them and we want to help you do that. So how do you manage an event at a bar? It really depends on who you cater to. For family bars or ones at hotels, resorts, etc. you will want to go big. For example think skating rinks and hot chocolate instead of harder drinks. Festive decorations and maybe even some fun hats for people. If you have an adult setting then you could also go with events like that but karaoke is a big winner as well. 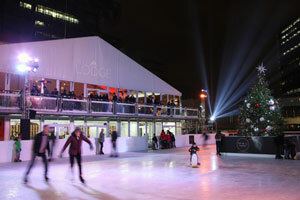 Dance floors on ice and other adult-oriented settings work as well. Outdoor Furniture selection is vital here, as you might expect. You will need pieces that can stand up to the temperatures or even warm up guests in some situations. In either case it is very important to shop around in these cases. Heated seating can be an awesome choice if you can afford it. Just be sure that your guests understand how to use it so that they can stay warm. Also having some overhangs or other shelter is immensely useful because you never know when it could start raining or snowing out of nowhere. Music is of course a huge part of this. Go with classic Christmas songs selected for your atmosphere. For example go with party songs if that is what your bar is about. Otherwise go with classier touches over time if you want a laid-back setting. In any case you probably have a good idea of what your guests or friends want. Try not to go with any songs that would really annoy a listener, although that is subjective so it can be difficult. Charitable donations are another area that you should keep in mind. If you have an event you might want to have all proceeds donated to a certain charity. You can take them off of your taxes and it inspires goodwill. Just make sure not to bother people too much with this since in a lot of places we are bothered year round to donate more and do more for various nonprofit organizations. Some areas like the Golden Nugget change their entire setting during winter. Most of all your wait staff needs to be cheerful and maybe even wear some costumes themed around the holidays. Every little bit helps and counts towards making people feel like they can relax and do great things during this period, no matter how it works. Be sure that your own people feel at home as well because it will reflect in their service if they are unhappy.